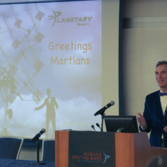 Washington, D.C. (April 2, 2015) – The Planetary Society CEO Bill Nye (The Science Guy®) and members of the Society’s Board of Directors today announced results of the ”Humans Orbiting Mars” workshop. 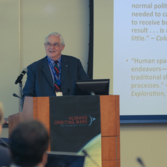 The goal of the workshop was to gather expert science, engineering, and policy professionals to build consensus on the key elements of a long-term, cost constrained, executable program to send humans to Mars. A credible plan for a long term Humans to Mars program that constrains costs by minimizing new developments was presented. For a sustainable, executable, and successful Humans to Mars program, an orbital mission in 2033 is required. An orbital mission will enable scientific exploration of Mars and its moons while developing essential experience in human travel from Earth to the Mars system. An independent cost estimate showed that such a program would fit within a budget that grows with inflation after NASA ends its lead role in the International Space Station. Landing humans on Mars can affordably and logically follow later in the 2030s. There will be both scientific and public support for this orbit-first approach. 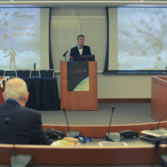 Pursuing this orbit-first approach will establish a framework for involving the private sector and international partners, and will create a unified Mars science and exploration community. 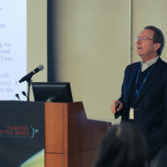 A full report on the “Humans Orbiting Mars” workshop will be released later in the year. Celebrating 35 years since its inception, The Planetary Society has inspired millions of people to explore other worlds and seek other life. 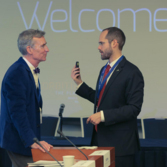 With the mission to empower the world's citizens to advance space science and exploration, its international membership makes the non-governmental Planetary Society the largest space interest group in the world. 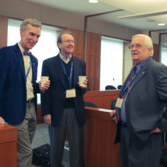 Carl Sagan, Bruce Murray and Louis Friedman founded The Planetary Society in 1980. 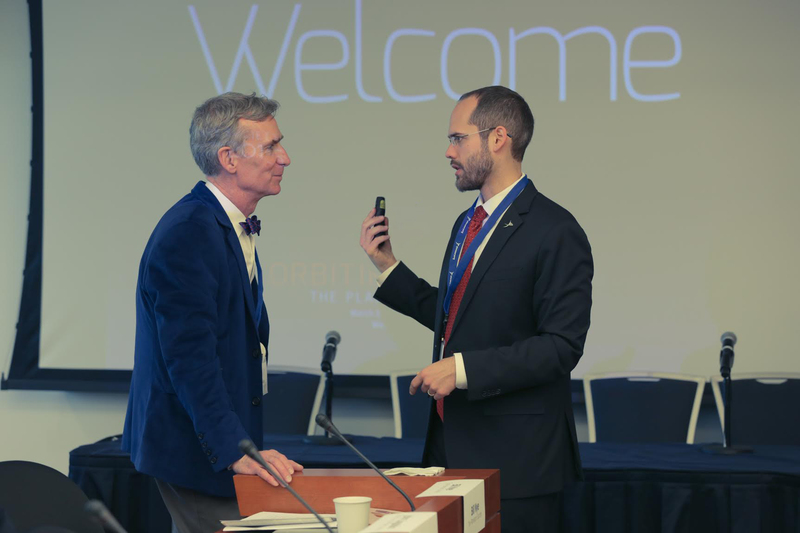 Bill Nye, a longtime member of the Planetary Society's Board, now serves as CEO. The George Washington University’s Elliott School of International Affairs is one of the world’s leading schools of international affairs and the largest school of international affairs in the United States. Located in the heart of Washington, D.C., its mission is to educate the next generation of international leaders, conduct research that advances understanding of important global issues, and engage the policy community in the United States and around the world. In the January/February 2015 issue of Foreign Policy, the Elliott School of International Affairs’ undergraduate and master’s programs were ranked among the top ten international affairs programs in the United States by the Teaching, Research, and International Policy (TRIP) survey.